During the holiday season, there's a good chance you will either host a houseguest, or be a guest yourself. But there are a few rules you should follow if you want the visit to run smoothly, or you want to be invited back. 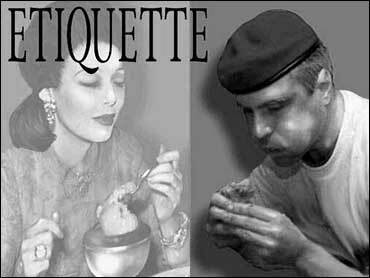 Etiquette expert Joy Weaver stopped by The Saturday Early Show with tips to be a good guest and a gracious host. Typically, guest and host know each other fairly well, but living in the same space for a few days is a very intimate experience -- sharing a bathroom is completely different from sharing an appetizer. You see a side of a person that you've probably never seen before and a bad visit can completely destroy a wonderful relationship. Weaver says that a bad houseguest is often the result of a bad host because it is the host's responsibility to make the experience positive. She says the host sets the tone for the entire visit. As a host, you have the opportunity to either not invite a guest into your home, or to decline a request for an overnight visit. But, according to Weaver, once you've said "yes" to a guest, you must play the role of gracious host. Weaver says the key to being a good host is simple -- set expectations up front. For example, tell your guest that it's fine if she thumbs through your CD collection, but, please, do not let the cat outside. If it's going to upset you when a guest wears his or her shoes on your new carpet, explain that the family has gotten into the habit of leaving their shoes at the door. It is better to share your expectations, rules, likes and dislikes than to quietly grow angry at a houseguest, Weaver explains. Often when a guest is being irritating or rude, he or she is not doing so on purpose. The guest simply doesn't realize that he's pushing your buttons. If you tell the guest what to avoid, that guest will. When your guest arrives, take that person on a tour of the house. Show the guest how to turn on the television, how to operate the alarm or whatever the person needs to be comfortable. A simple thing that most hosts fail to do is to share the household schedule with a guest. Weaver says to let the guest know that you are early risers, that your son has a soccer game, that you like to go for a run in the evening, etc. Invite your guest to join you in any of these activities. A holiday CD, prices ranges from about $16 to $19: Choose from a variety of albums such as Jim Brickman's "Peace," Whitney Houston's "One Wish," and the Brooklyn Tabernacle Choir's "Christmas at the Brooklyn Tabernacle." They are available at Amazon.com. Elton rocks, about $32: A portion of the proceeds from the sale of the trendy-looking, decorative rocks goes to the Elton John Aids Foundation. Available at Neiman-Marcus. Guest soaps, about $14: The Winterberry Guest Soap comes in a box of three scented bars. Available at RestorationHardware.com. Sweet treats: Items from the Texas Gourmet Pretzel Company can put a smile on most hosts, says Weaver. For more information about their treats, Email texaspretzels@aol.com or call 1-214-334-0194. Pumpkin butter and spreaders, about $3 for 2 spreaders, $8 for pumpkin butter: The spreader and butter are available at Williams-Sonoma. Mulling spices, about $8: The canister of mulling spices is available at Williams-Sonoma. Flavored olive oils, about $10: The olive oil with chili in a corked bottle is available at Williams-Sonoma. Offer to pay: Money issues can be tricky. Often, both guest and host feel as though they should treat the other to dinner or a movie. The guest, however, should always pipe up and offer to pay first, Weaver says. And, the host should accept the offer. The worst thing a guest can do is begin to feel "entitled" to star treatment, according to Weaver. If plans don't include a dinner out, the guest should offer to help cook or wash dishes. Don't take the last of anything: In other words, don't eat the last piece of pie, don't drink the last of the milk, don't use the last squeeze of hand soap. Leave a tidy room: If possible, leave the space where you stayed in even better condition than you found it. Strip the sheets and put in the laundry room and wipe down the shower. Send a thank you note: Your mother was right, this one really is important!